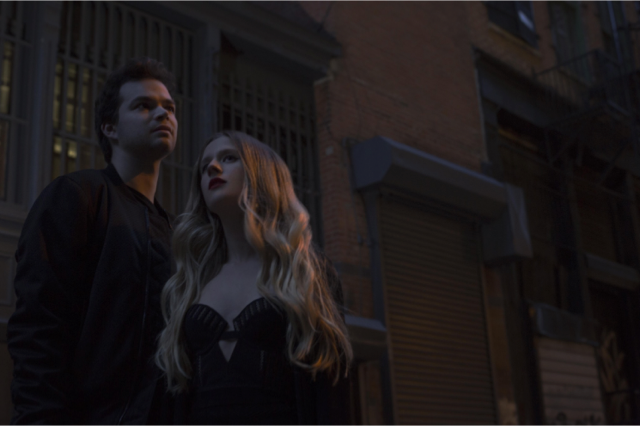 MARIAN HILL have arrived. The multi-talented duo made up of Jeremy Lloyd (music/lyrics/production) and Samantha Gongol (music/lyrics/vocals) have just dropped the mesmerising, must-see visuals for their smash track ‘Down’ which features on Apple’s new TV campaign for iPhone 7 & AirPods and they recently took to Jimmy Fallon for a stomping performance. 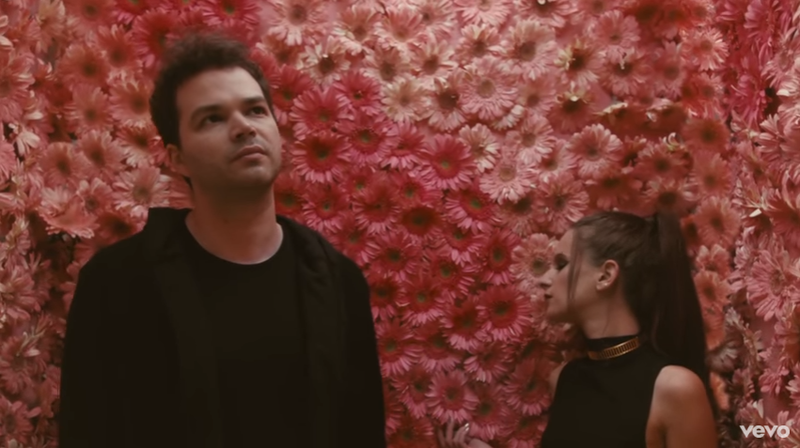 MARIAN HILL shift the classic paradigm of a woman on a stage and a man with a piano to a woman on a mic and a man with a laptop. Tempting paradox with a blend of blues and bass, acoustic and digital, classic and modern, the duo’s full-length debut ‘Act One’ and ‘Down’ have both caused huge waves since their release. Currently No. 19 on the Billboard Alternative Songs chart and recently one of pop radio’s most added songs in the US, ‘Down’ entered the Top 20 of Spotify’s global Viral Chart, reached No. 1 on Shazam in the US and Canada and No. 5 on Shazam’s worldwide chart. Garnering praise from the likes of The FADER, Wonderland, The 405 and Beats 1, the duo have taken their one of a kind sound and live offering to SXSW this week. Two years ago Sam and Jeremy wrote and recorded ‘Whisky’ during spring break in Jeremy’s parents’ basement. When they released it for free on Soundcloud later that summer it was the only song they’d written for the project, and in a little over a year’s time they had recorded their first EP in a bedroom, amassed millions of plays on various platforms, sold out shows across the US and featured in high-profile commercials. Debut album ‘Act One’ released last year – with a physical release scheduled for March 24th – takes you on a journey through the complexities of modern relationships, with each song inhabiting a specific and charged relationship lyrically, melodically, and sonically. ‘I Know Why’ constantly transforms and reinvent itself as the vocals grapple with a secret while ‘Mistaken’ is the hardest of sax trap with a classic songwriting backbone. ‘Same Thing’ is the saddest part of the album, a haunting ballad depicting serene resignation of a doomed relationship, but castanets rise from the ashes as ‘I Want You’ closes out the night in a pure moment of optimistic electricity, a glance across a crowded room that changes everything.